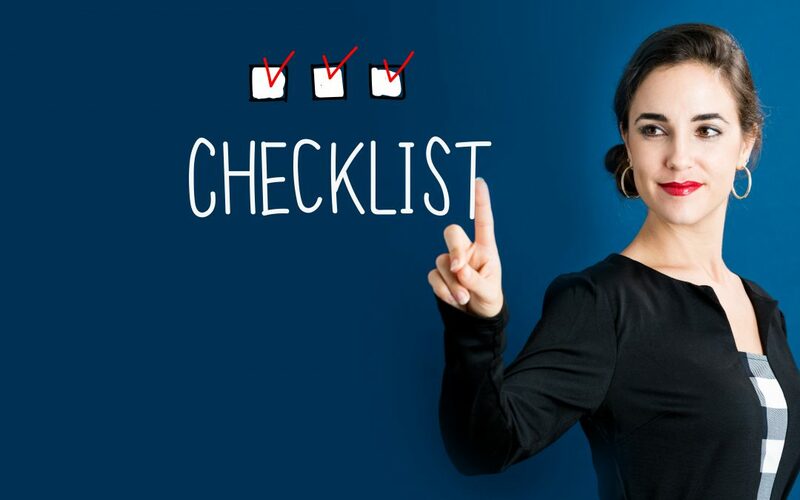 There are three key elements to a stellar checklist. Do away with complicated checklists that confuse and frustrate your audience! These three elements will change how your audience engages with your next freebie. Key #1: Make it easy to read!#1: Make it easy to read! Use a simple font. Don’t try to make it look fancy with a font that is difficult to read. Cursive and whimsical fonts may look fun, but they are difficult to read and will frustrate your audience. Use a 20 pt font or higher on a printable checklist. Small font is hard to read when it is on paper. Choose a large font so that your audience can read the items if it’s tacked to a wall, or on the desk. Checklists should make your audience feel ACCOMPLISHED! Make each step easy to understand and implement. Choose checklist items that your audience can do without having to run around to do them. The hard work comes when they join your program. It should be EASY to follow the steps and implement the changes. Key #3: Use odd numbers! Odd number lists leave the reader feeling like there is something more. 5, 7 and 9 are the best number of items to have on a checklist. Odd numbers feel like the loop isn’t closed and there is another step. Your final step should lead to your offer or program. Invite your audience into your inner circle, by partnering with you to go further.